For those of you looking for an easily scalable hosting service with a better security and performance than shared hosting, a virtual private server or VPS would be the ideal choice to go with. Also, it provides a greater space for customization of the environment according to one's need. I received some requests to write on the Best VPS Hosting 2018 and tested our available VPS hosts based on uptime, pricing, support, and scalability and we have reached to some amazing conclusions as well. Interestingly, we found three of the VPS hosts unimaginably powerful. First is the FastComet, then comes the TMDHosting and last but not the least the Liquid Web. So, without much ado, let’s share the valuable information with you all. 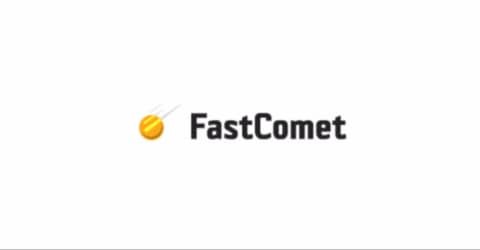 FastComet is undoubtedly one of those VPS hosts that have the right mix of all the various important features needed to constitute a powerful VPS hosting. It’s based on fully managed servers to give you every single reason to not worry about anything pertaining to your website’s hosting. The setup doesn’t even take that long and once you have finished setting up your website, you can rest assured of an accentuated optimization. The powerful yet simple cPanel helps you manage your website in the most efficient way. Besides, it offers a wide selection of CMS like WordPress, Joomla, OpenCart, Drupal, etc for you to choose from. The daily automated backup is another brilliant feature to keep your data always secure. Most importantly, it’s highly scalable and you can scale up your cloud resources according to your needs. Free domain name for lifetime. Some valuable add-ons cost additional charges. Why I rate FastComet as Best Web Hosting? Learn from my data based hosting reports. TMDHosting isn’t still a much less known hosting Company. However, the Company has been able to prove its importance over the past few years and reach out many customers from all over the world. The SSD servers make the loading amazingly fast which is, of course, a very important aspect from the SEO perspective. Through this TMDHosting Black Friday, you can get a hosting account for $1.99/month which is the cheapest hosting plan you can get through this Black Friday. Besides, it offers high levels of website security with constant firewall protection. Furthermore, it’s highly scalable and the resources can be scaled up or down anytime according to your needs. It offers CentOS operating system, a cPanel license, a free domain registration, CDN integration, and SSL certificate with all the plans. Most importantly, you have the most dedicated customer support by your side to help you every time you are locked away with any technical complexity. TMDHosting offers the cheapest Best VPS hosting in 2018 where you can start your blog on Managed Cloud VPS for just $19.95/month. Liquid Web is, of course, a much-known name in the field of Hosting and what makes it so special is certainly the amazingly powerful features it offers. If you're tight on budget wait for a while and keep an eye of 2018 Liquid Web Black Friday which tends to offers discounts up to 57% for a shorter period of time. If you are looking for an uninterruptedly smooth hosting experience, Liquid Web is certainly the ideal option to choose with maximum uptime and real-time monitoring. The page loading is incredibly fast. Besides, the resources are highly scalable. If you are looking for a much advanced Best VPS hosting 2018 experience, there's certainly more you can do with Liquid Web. Root access, integrated firewall, built-in backups, DDoS attack protection, dedicated IP address, etc can certainly help you stay ahead of others by keeping things more organized and secure for your website. The customer support is highly experienced and you can rest assured of the fastest resolution of every single issue with the technical support team.I recommend Liquid Web as the Best & Fastest VPS Hosting 2018 to use. These were the three Best VPS Hosting 2018 that I thought is the best based on our tests. However, I would suggest you to actually give all of these three a try first and this will eventually help you determine on the most suitable VPS host for your website. Pay special attention to the pros and cons as explained by us in this post when you try them out. However, the size of the hosting totally depends on your purpose and amount of hosting space needed by you. This may apparently seem to make much sense but trust me; it certainly has a lot to do with the page loading speed.